Osland Piping Supply is a Certified S/WBE with the Minnesota Unified Certification Program (DBE). Click on the MNUCP Logo to view our Certification. Please Contact us for any other questions or inquiries. 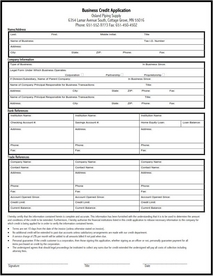 Osland Piping Supply is also a Certified S/WBE with the Central Certification Program (CERT). 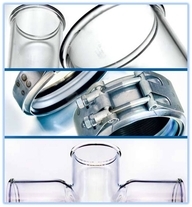 Osland Piping Supply is the stocking distributor for Kimax Laboratory Glass Products for MN, ND, SD, WI, AZ and NM. We stock Kimax DWV Glass in our warehouse in Inver Grove Heights, MN. Kimax Drainline Systems are designed for gravity flow. Borosilicate glass pipe & fittings are joined with bead-to-bead and bead-to-plain end compression couplings in diameters 1-1/2" - 6". Osland Piping Supply has been offering global solutions to plumbing, HVAC and mechanical contractors in the Midwest region for over a decade. We provide superior quality products and services which allow our customers to achieve the lowest installed cost with the maximum labor savings. Our goal is to develop a long term mutually beneficial relationship with our customers. We are not just the manufacturer's representative or distributor on these product lines; we also stock and maintain one of the largest inventories in the Midwest which is available for immediate shipment. 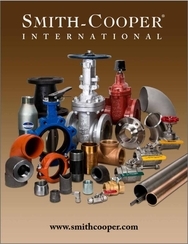 All products represented by Osland Piping Supply carry insurance in the United States. Please contact us if you need additional information or documentation. - Piping and plumbing pre-fabrication. - Consultation services available for upgrading your existing fabrication facility. - Value engineering and product selection. - Bagging, tagging and delivery by floor, area or system. - Material cost accounting, estimating pricing, summary purchase reports etc. We are not the ordinary manufacturer's representative or plumbing/mechanical wholesaler. Osland Piping Supply specializes in the products and services we offer. We do not try to operate as a full line wholesaler. All of our employees are highly trained in our products and services. We offer expertise not normally available within the rep/wholesaler community. Over the last decade, our products and services have been supplied on hundreds of projects including: Minnesota Gophers TCF Stadium, Waterpark of America, IKEA Bloomington and the Riverside Plaza in Minneapolis.